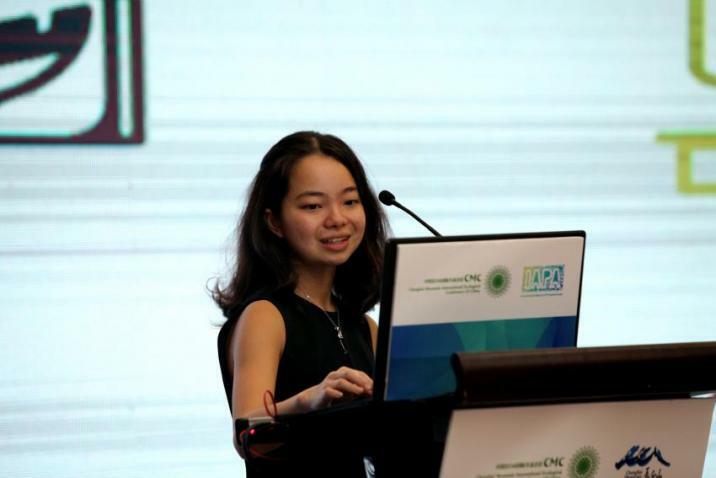 Ruolin Miao, DukeEngage Alum from Costa Rica 2017 and Environmental Sciences and Policy and Biology double major, traveled to Jilin, China in September to present her research on protected area-friendly products and services at the 2018 Annual Meeting of the International Alliance of Protected Areas. She collaborated with researchers from the Chinese Academy of Sciences on the work, and was advised on it by Stuart Pimm, Doris Duke Professor of Conservation Ecology at Duke’s Nicholas School of the Environment. She became interested in researching protected-area friendly products and services because of both the conflicts between development and conversation goals and because of the opportunities Duke has offered to go to protected areas through field work. Ruolin has been able to do bird banding in Dry Tortugas National Park and sample vegetation in Kruger National Park, South Africa. After presenting at the annual meeting in China, Ruolin describes her experience as much more relaxed than she expected, with all attendants being approachable and friendly. Leaving the conference with hope, she was thrilled to hear the diversity of voices and perspectives in the annual meeting. Discovering her passion during her freshman year in her internship at the Duke Lemur Center, she continued to work through the Stanback Internship Program to work with the Union of Concerned Scientists on ciliate-related policy research and community outreach and through DukeEngage Costa Rica to work with reforestation and learn about ecology and conservation. After graduating from Duke, Ruolin Miao plans to pursue a master’s degree in the environmental field and eventually continue to get her PhD in conservation.